Why Use a Centrifugal In-line Fan? 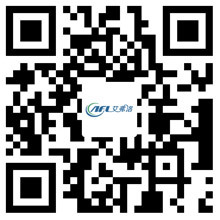 - Hangzhou Airflow Electric Appliances Co.,Ltd. Home / News / Industry News / Why Use a Centrifugal In-line Fan? Why Use a Centrifugal In-line Fan? In this hot and humid weather, we have no choice but to choose all kinds of fans and ACs. But how much help does it have? In addition to the popular Airflow fans, the centrifugal fan has been well evaluated positively by customers. Over the past twenty years, the Inline pipeline system has become a popular means of concealed ducted ventilation. A ball bearing motor helps to extend the service life by at least 40 thousand hours. Equipped with a backward vane fed by a single-phase motor with an external rotor, and an overheating protection with automatic restart function. Although the flow rate is low, these fans produce more stable airflow than axial fans, but these fans also require higher power input. The fan provides a steady or step-by-step speed control via a thruster or autotransformer speed controller. Centrifugal inline fan runs safely and has low noise. Each impeller is dynamically balanced during assembly. The fan can be powered by an external junction box and can be mounted at any angle on the wall or ceiling, with a fastening bracket attached to the machine. In addition, these fans are ideal for high-pressure applications such as drying and air conditioning systems. As all moving components are closed, they have reduced particulate properties, making them ideal for air pollution and filtration systems. A centrifugal inline fan is ideal for avoiding extremely humid weather, as it includes direct and drive fans with wheels that tilt backward or bend forward. It helps to supply and exhaust systems in various locations. The steel housing of the device provides reliable operation when installed outdoors. For electrical connections and installations, you must follow the manual and wiring diagram on the junction box The fan is equipped with an electronic temperature and speed control module, which help to automatically control the speed of the motor according to the air temperature. Centrifugal fans are absolute solution to the ventilation of houses that require permanent temperature control.